The Country Music Awards aired on ABC Wednesday, hosted by returning duo Carrie Underwood and Brad Paisley. In addition to a little play time with Faith Hill and Tim McGraw dolls, Carrie and Brad poked fun at the Hank Williams Jr foot-in-mouth-debacle, with Hank joining in on the fun, before turning their playful teasing to Kim Kardashian and her “forever” marriage. I must say, Carrie and Brad are quite cute together; it’s clear they have a real friendly connection and honest chemistry. 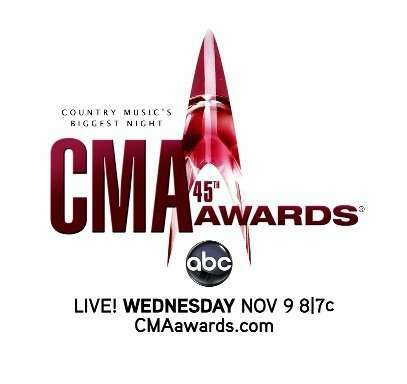 And the CMA Awards 2011 Winners Are….. In addition to making an appearance in her Barbie doll form, Faith Hill took to the CMA stage for the first time in five years to perform her new single, ‘Come Home.’ The song will be included in Hill’s album scheduled for release in early 2012, her first in more than 6 years. next post: Kat Von D Says Jesse James Is A Cheater. Derrrrr!!! 50 queries in 1.172 seconds.